I am often asked how I find sea glass. It's pretty simple: I walk the beach(es). I get sunburned, windblown, or frozen, depending on the seasons. Sometimes I find nothing. 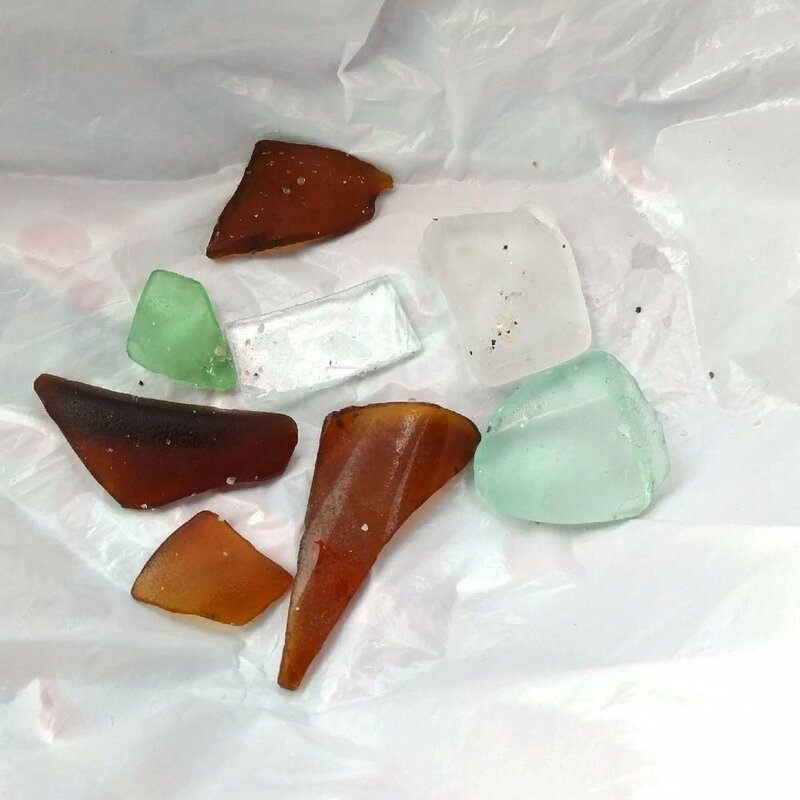 Some walks yield sea glass, but not glass that's suitable for my jewelry. And sometimes, it's a perfect day--the sun is shining, the temperature is moderate, and the ocean sends me many treats. I can actually apply those same sentences to anytime I go shopping, mall or not. It's all a matter of luck, not something anyone can control. I recently saw a post on a NC beach Facebook page asking where to go to pick up certain shells that the poster had to have for a guest. I'm puzzled by the demand. The beach is certainly not a place where you can consistently find a certain shell or object. I believe that finding something elusive makes the find all the more special. I can certainly buy sea glass, and have bought it at times, but those pieces I can't find on demand make my finds all the more special.